Policy reform in Australia has slowed so much  that institutional causes should be considered. The effectiveness of the political adviser needs some thought because they touch most of the messages, reactions, decisions, budgets, policies and strategies coming from both government and opposition. To some extent, the organisational preparedness and performance of advisers are part of the reason our governments are struggling to deliver constructive policy. The cost of all staff members of federal parliamentarians in 2012­–13 was $230 million , which paid for about 450  senior advisers, media advisers, advisers and assistant advisers. By contrast, the UK Government has  about 100 special advisers . Add our state governments, with their oppositions and minor party benches, and Australia’s politic­–policy layer is over 1,000 strong. Despite significant budgets and functions, human resource management in Australian politics is underdone, with abnormal turnover  and demands  spun as positives. Because work practices are difficult to sustain in general, there’s a rolling loss of corporate, policy and political memory. So recruitment practices serve turnover realities more than quality needs, such as diversity and gender balance. Where advisers are seconded or former department officials, professional expertise exists but political nous and awareness are usually weak. Similarly, where advisers have primarily political associative backgrounds, their public service skills and subject matter expertise are usually weak. These limitations are amplified by the relative inexperience of staff amenable to frenetic work conditions. The cost of this arrangement in terms of policy delivery is hard to quantify but policy stagnation is in part an executive  problem in which hundreds of advisers play key roles. On a sustainable basis, staff capacities struggle to match office functions, which themselves aren’t always clearly understood. For example. Section 57  of the Public Service Act (Cth) 1999 specifies that the Department Secretary is the principal official policy adviser to the Minister. The lack of professional support that’s commonly provided in public services and in the private sector has been long recognised—submissions to the 2003 Senate Finance and Public Administration References Committee inquiry  into Staff employed under the Members of Parliament (Staff) Act 1984 conveyed the systemic shortcomings  of the ad hoc  adviser body. Over the last decade and over many state and federal changes of government, business practices have changed little, besides the codification of steps to improve ministerial accountability. While intelligent, highly dedicated and hardworking staff are normally employed, their relative inexperience and lack of support are functional impediments. As a result, the over 1,000 Australian advisers provide our democracy with less service than they could do within a more considered system. It’s the capacity of our institutions that matters because policy reform, in any direction, is a medium to long-term undertaking. All these executive shortcomings are a drag on policy advancement. If in doubt, due to lack of experience or support, it isn’t unreasonable for advisers to hedge against immediate risks and discount future benefits. With due respect to loosely defined duties, a risk adverse culture is fostered. In a complex system, risk aversion inhibits professional cooperation so curbing policy discourse even within parties, across parliamentary wings and between the state and federal levels. Staff energies are instead focused on short-term issues where relativist judgments can quickly address media and administrative issues. Work is typically triaged in terms of relative crisis or media pertinence, rather than policy, strategy or whole-of-government relevance: it’s politics over policy. In turn, inaction stalls policy development, which is ultimately politically fatal. Politics is a most competitive profession, so it’s argued that office staffing is rightly and simply a reflection of the office holder. That’s fair enough as far as ballot box feedback goes but the fact is that the adviser body provides a key service to all nine of the country’s parliaments; which aren’t meant to fail. The problem is while devil-take-the-hindmost is a constructive force in a dynamic market, the adviser body is a universal, taxpayer-funded system. It’s a service that, for want of modern management practices, isn’t as effective at serving politicians, and thus advancing public policy, as it could be. Public services have public sector commissions, politicians have their electorates and the media has their charters, owners and readers. Tellingly, no person or organisation stands to directly benefit from asking or answering questions about adviser body fitness. 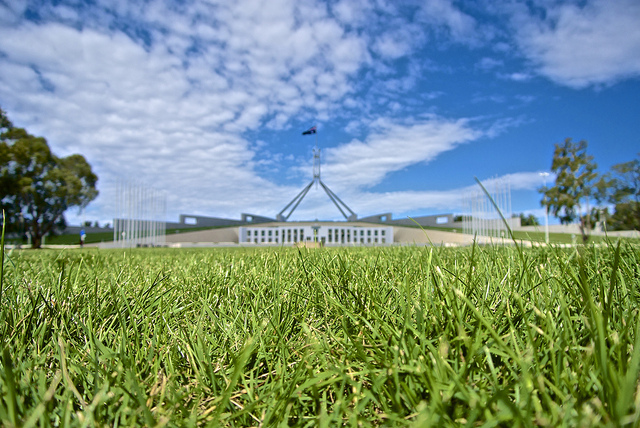 A minor but important step towards improved policymaking in Australia would be measures to ensure advisers are a more constructive part of whole-of-government (and opposition) efforts. Undoubtedly, responsibility for managing staff should stay with the political executive but setting and enforcing better standards would ease that burden and enhance policy productivity. Our politicians need better support to deliver policy than our advisers are currently set up to provide. If we’re serious about fixing Australian politics, we need to strengthen the relevant institutions. We should take a serious, substantive look at improving the policy delivery value of the adviser body. Martin Callinan was a shadow ministerial and ministerial adviser (2006 to 2009) and an NGO policy director (2009 to 2014). Image courtesy of Flickr user Jason James.